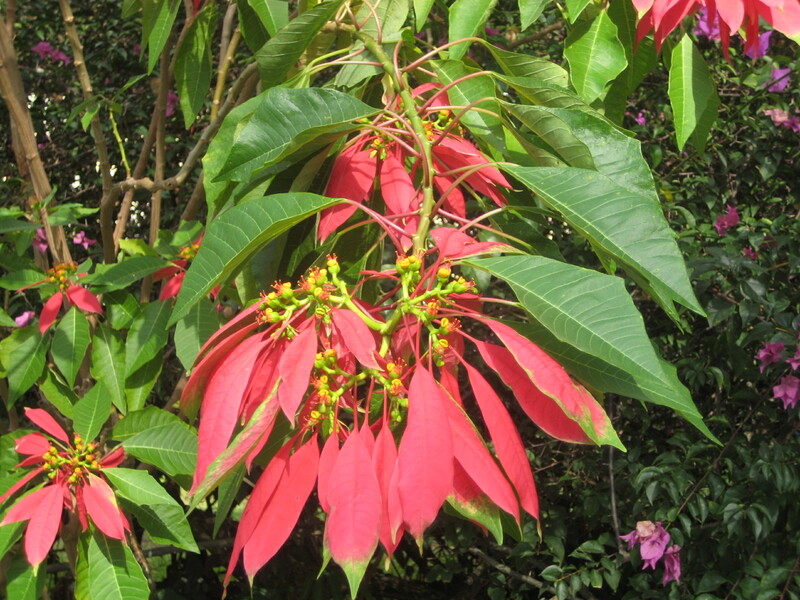 This is a picture I took in Grenada of pointsettia. It looks nothing like I think of how pointsettia’s look. They are smaller and in pots. I had no idea they grew this big.